The First consultation is about you finding out what it is you specifically want and how we can tailor treatment for you. At present we are running a special offer that involves NO FEE for an initial consultation for dental implant treatment. Here we will listen to your requirements and set out a plan for you. We prefer to as far as possible give you the information with regards to the level of investment required for your treatment, the risks and benefits, alternative options and long term effects of treatment and outline our guarantee to you Any costs are subject to an full diagnostic appointment and relevant X-rays. It is important that our clients our comfortable with our dentist and staff as well as the environment we provide. We have specifically thought through the patient journey from the point of calling the practice to seeing the dentist every step has been taken to move away from conventional methods and smells associated with a dental practice. For the initial free consultation we would take a simple digital photo of your smile and digitise the image on a plasma display – here we will discuss the options for cosmetic enhancement . As cosmetic dentists we deal with the smile that balances the face as here at the cottage Dental Clinic we are able to also provide wrinkle relaxation treatment using Facial Line & Wrinkle treatments and dermal rejuvenation as well as lips, nasolabial line reduction these are perfect additives the cosmetic and dental face lift. Veneers, Crowns, Implants, whitening – All these great treatments can be used in combination to give you the ideal smile and we can enhance a number of your facial and dental features. Once work is completed we do provide a comprehensive 5 year guarantee on all work subject to terms and conditions. Liaise with other healthcare professionals prior to diagnosis and treatment. 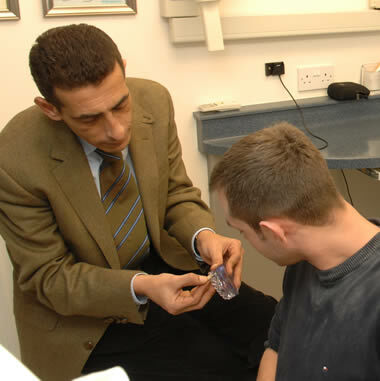 After examination we may prescribe special investigations such as x-rays, blood tests, biopsies etc.